I cannot believe that it is already time for round NINE of #OTSPSECRETSISTER!! Head over to the google form which coincides with your monetary tier and fill it out in full. NOTE: If you forget to do this then we cannot pair you, it is what we use to do all of our pairings. BEFORE scrolling down to the questions, and BEFORE signing up to be a part of this project please thoroughly read our FAQ and Rules post. Memorize the rules and refer back to it throughout the project to make things easier for everyone. Just to cover all of our bases let me reiterate a few things, but please keep in mind that this is just a basic glossing over of these rules, we go more in detail and clarify everything in the main post that we are asking you to read. First, please remember that this is a commitment. By signing up to be a secret sister you are promising to send at least one small card AND gift to your secret sister a month depending on the “monetary group” for which you sign up. Those in the pen pal tier are not expected to send gifts, that is strictly letters/cards AND you will NOT keep your identity secret if you are ONLY in the pen pal tier. Those in monetary tiers: you are also asked to send letters and or/postcards to foster positive communication IN ADDITION to packages. Please remember: this is not a subscription box. It is not about the gifts. It’s is about the connections you are making! Last thing, sign-ups run from July 13 to midnight on July 27! NOTE FOR INTERNATIONAL PARTICIPANTS: Due to time zone differences and issues in the past with late questionnaires, etc. we are only able to give you until July 22 to sign up for round 9 of The Secret Sister Project. More details on how to sign up as an international participant below. You will be asked to provide the name and contact info (email addresses, please) of a “buddy” who will be willing to answer questions put forth by your sister. We are asking that you keep this to someone who is in the community and therefore will be easy to contact. Husbands/moms/sisters are not easy to contact. *Don’t stress out about this. This person will be available to ask you questions from your sister, or let you know to check your mail. It is not necessary for this person to know you inside and out, just that they have the ability to be contacted, and to contact you when your sister has a question. Additionally, do not bog this person down with incessant questions, use your best judgement when possible and get creative! You must answer ALL of the questions put forth in the sign-up email as well as be detailed and thorough. Please read and re-read our FAQ and Rules post and remember that we are here for you. Do not hesitate to reach out to use if needed, we want to help you and can’t unless we know what is happening! This all probably seems like a lot – but please keep in mind that we have over 200 participants at any given time and we ask you to follow these guidelines to make things easier on us as we all share in this community. It’s easy! Just answer every question in the questionnaire below and email it over to onthesamepagesecretsister@gmail.com by midnight on July 27! ALSO In addition to the questionnaire, you will also be asked to answer a few questions for a Google form. PLEASE NOTE: If you do not fill out BOTH of these things in full, then you will NOT be paired. This is what we will be using to pair you, so do not forget! International participants: Please use this Google form to sign up instead of one coinciding with the tiers. There will be a place for you to fill out your preference of which tier you would like to belong but we can not guarantee this. Due to international participation being low, we may have to put you all into the same tier, or may not be able to include international participants this round. Please remember that you have until midnight on July 20 to sign up as an international participant. Hey there, friends! I am here to do some tiny edits to the FAQ post since we have been doing this for so long and we want to make sure that everything is crystal clear! For those veterans, this is all the same thing you’ve been doing, so don’t fret! First, I want to say thank you! Thank you to those who have stuck with us and to those who have just recently joined. To those who have been so wonderful and supportive of not only your sisters but to all those in the community. It is such an uplifting thing for me to know that you are all out there doing good through your connections with each other. I really appreciate you. Some of you may have seen some blah tweets from us regarding the project and saying that it isn’t what it used to be. That’s just the way of the game! We worry that some people may have lost sight of the reason behind the project. To sum up: I was at a loooooow point and wanted to combat some negativity in my life by providing some happiness to someone else, and I needed a friend. So I created this project to build a community of strong, resilient and kind people who can lift up one another. It is not about the gifts. It is about the connections. I cannot say this enough. All of that being said, the project is wonderful but a lot of work. So that’s why we created this FAQ post! We ask that you read this post thoroughly, and refer back to it PRIOR to reaching out to us with questions during the project. In addition, keep in mind that the hashtag #otspsecretsister is ALWAYS a fantastic resource for information, people are always happy to help. The Secret Sister project is essentially a cheer club. Think Secret Santa but all year round (in 6 month intervals) with less emphasis on presents, and more thoughtful notes, cards, small somethings sent just to let your secret sister know that you are thinking about her! On the date specified in our tweets, we will be posting questionnaires on our blogs for you to fill out. In addition to the questionnaire, you will also be asked to answer a few questions for a Google form. PLEASE NOTE: If you do not fill out BOTH of these things in full, then you will NOT be paired. We use the Google form to pair you, so if we don’t have your name on there, you will not get paired. Please know that this is a commitment. There are people out there expecting to have a connection with you. By signing up to be a secret sister you are promising to send at least one small card AND/OR gift to your secret sister a month depending on the “monetary group” for which you sign up. It is very important that you don’t sign up for this unless you are willing to follow through. If you cannot give 100% to this project please don’t sign up. When people don’t follow through or make the effort at connecting with their sister it sends negative vibes no one needs. Yes, unless you are signing up for the pen pal group you are expected to send a little something on top of a card or letter. Keep in mind that this really is meant to be more of a cheering up sort of club, so though you must abide by the price guidelines you should also be sending letters and cards to keep communication open. But please note: This is not a subscription box filled with gifts. You need to make friendships, talk with your sister, thank your sister from whom you are receiving packages, etc. Neither do I! This is why we have different price ranges, one of which is strictly pen pals – that means NO trinkets, etc! You should never, ever feel as if your package is inadequate as long as you are meeting your price range “standards.” Anyone who is getting caught up on the size of the gifts is missing the entire point of the project and will be dealt with accordingly. Do I have to be a blogger to join? Technically, no. 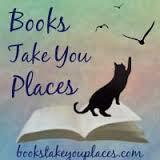 You should be bookish, however. We are book people over here! It has been in the past We are going to have to again gauge how many international participants wish to join, and see if we have enough interest. The international interest has been waning because the group was so small, so we have gauge interest for every round. That is wonderful! Welcome! I know it is a little off putting to see the word “sister” up there but honestly we just did that because it sounded better than “The Secret Person Project.” I personally would love a secret bro, pal, dude, or friend regardless of gender and we had a few males join us the past few rounds! What are the price ranges, and can we have some examples of what a package would look like for each range? Pen pals: That’s right, this is strictly letters and cards. No trinkets, no extras, nothing. If you want to send ANYTHING more than a letter or a card every month then we ask that you sign up for one of the higher monetary tiers. $5-$10: Send a heartfelt letter to catch your sister up on how things are going that month and then send an e-book, baked goods, homemade bookmark or other DIY project, or how about a movie night box with a DVD (thanks to the $5 bin at Walmart) and some candy for a movie night! $15-$20 Any of the possibilities listed above and perhaps a paperback from your sister’s wish-list, some fun socks, fandom tshirt, themed box, get creative!! $25+ The sky is the limit here, we just ask that you remember to reign it in a bit and remember the goal of this project is for cheer, and joy and forging positive relationships, not excessive gifts. Send those heartfelt letters!! We ask that you pay attention here because we are going to hold you to these standards with no exceptions. I am sure that you all realize how time consuming it is to run project of this size. If you think our “rules” are too strict and “not fair” then we are sorry you feel that way, but we made some exceptions before and spent a lot of time chasing after people and yes, even kicking people out for neglecting to do their part. You must “know” the hosts in order to join! The hosts are myself, (@withthebanned), Amy(@trippingbooks), or Brittany (@bookaddictguide). What does “knowing” us entail? First and foremost, you should be following all three of us on Twitter, you should know our names, and if one of us reaches out to you, you should know who we are. We are all pretty active on Twitter and really like chatting. Tweeting at us a few times saying “Hi! I want to join The Secret Sister Project!” does not count. We want to get to know you, there are three of us and our tastes range – this shouldn’t be too hard. We even wrote up a “get to know us” post to make it easier for all of you to chat us up! We promise we are friendly and just want to see that you are serious about the project and don’t just want gifts. You must actively use the hashtag #OTSPSecretSister to thank your sister during your time participating in The Secret Sister Project. We get TONS of emails asking things like “It says my sister’s package was delivered last week but I never heard anything? In addition to this “rule,” you should use the hashtag to interact with one another, ask questions, and answer questions put forth. We promise, this makes the whole project more fun! If we have to reach out to you more than once to ask why your sister hasn’t yet received anything then you will be asked to cease in participating. If you are going to be late, tell us. You will not be in “trouble” if life gets in the way and you let us know. We all have things going on, we get it! If we contact you and ask if you sent something to your sister and you say yes but are unable to provide tracking for the package then you will be asked to cease in participating. Just be honest. If you have not received anything by the end of the month then YOU must contact US. We have had some who have reached out to us at the end of a round to say they hadn’t been receiving. Please don’t do this. We need this information to help you and ensure that no one suffers in the same way in future rounds. Please do NOT ever feel uncomfortable reaching out to us to say that you didn’t receive something. We WANT to help you with this, you DESERVE to get cheer as you are sending cheer!! If for any reason you find that you have to drop out of this project, please email us immediately. We will not judge. We will not ask why. We will simply thank you for informing us and then pair your sister off to someone else so she isn’t missing out. You will be asked to provide the name and contact info (email addresses, please) of a “buddy” who will be willing to answer questions put forth by your sister. We are asking that you keep this to someone who is in the community and therefore will be easy to contact. Husbands/moms/sisters are not easy to contact. Your sister will contact this person to ask things such as “Can you ask Sally if she likes citrus or flowery smelling candles better?” This person can also say things to your sister such as “Hello Joan, Sally ended up buying a copy of “Click, Clack, Moo: Cows That Type” off of her wishlist so please do not purchase it. Your buddy will also be there to receive messages from your sister if she is going to be late, etc. You will be asked to provide a Goodreads or Amazon wish list that is specific to The Secret Sister Project, start working on this now! The wishlist must have 20 or more books on it and must contain new and older titles – SOME ARCs are fine but keep in mind your sister may not have access to these. This list MUST contain books that you are not going to purchase for yourself. IF you simply cannot resist a title here or there then please let your “buddy” (see above) know PRIOR TO BUYING so that they can tell your sister – but please try to refrain from doing this. Do not give anyone else access to this list. We had a lot of people buying things their sister already owned due to someone else buying off of this list, and it was a waste of money for your sis. If your Goodreads profile is private, your sister cannot view your wishlist. If you do not wish to make your Goodreads profile public then you may use another format for your wishlist such as, Amazon, or by providing one in the sign-up email. We are asking that you put a little more emphasis on the “pen pal” aspect. This means if you have signed up for one of the higher price ranges, you should still send a letters to your sister. This is one of the things people have been asking for, so please don’t forget. Do not tweet negativity while using the hashtag. Things such as “Wow, I wish I knew if my sister got her package” or “I wish my sister would use the hashtag more” are statements that promote negative communication. If you have issues like this, reach out to the person your sister designated as her “buddy” or to your point person and we will do our best to solve any issues. Do not send your sister ARCs unless you are also sending additional things to compensate as we know no one pays for ARCs and you are to meet the monetary limit. Do not send packages straight from Amazon. We had some people who completely forgot about their sister and then sent things directly from Amazon to try and make up for it and it resulted in some hurt feelings. The emphasis should be on the cheer and the thought that you are putting into your sister and her happiness. Please refrain from sending “swag.” Unless you KNOW that this is something your sister would love. Please pay attention to your sister’s likes, wish lists etc. This is hard to say, because it seems as if we are emphasizing the gift aspect, but it is a waste of money for you to send something that your sister will not enjoy. If your sister says she loves coffee mugs, try and cater that to her fandoms, etc. There are exceptions to this of course but we don’t want you to waste your money on things! If allowed to participate, you will be given the contact information for one of us. You are to contact that person, and that person only regarding any and all Secret Sister Project questions, or concerns. This will help us keep things more seamless, and will let us have divvy up the “work” a little better. Use the hashtag and interact with one another! The whole point is to bring positive feelings into the our community. Be as thorough as you can when answering the questions. There is no “writing too much” when answering these questions! The best advice I can give you is to be creative and keep in mind the entire reason for the project is NOT about gifts, but fostering a positive environment. If you are looking for ideas, chat us up, we would love to help! Or ask your fellow sisters! I saw some fantastic monthly themed packages last round! We tweet from our own handles pretty frequently, but don’t forget to follow us all over at Gals on the Same Page)! We can’t say this enough…please PLEASE only sign up if you are willing to send something monthly and give 100% to this project. Please recognize that this is a commitment and that there is someone out there relying on you to follow through. The sign-up post with all questions that need to be answered will be posted on our blogs and promoted via Twitter. Please do not forget to sign up via the Google form in addition to sending your sign up email. Sign ups will run for two weeks. I hope that this post has been helpful to you, friends! If you still have any questions then please reach out on Twitter. If you are new to the project then I encourage you to use the hashtag to talk to your fellow sisters as they may have the answers you are looking for! Thanks for sticking with us and being so generous and kind! I cannot believe that it is already time for round SIX of #OTSPSECRETSISTER!! Last thing, sign-ups run from January 13 to midnight on January 27! I cannot say this enough times, read and re-read our FAQ and Rules post. If you do not abide by the rules, you will no longer be allowed to participate. It’s easy! Just answer every question in the questionnaire below and email it over to onthesamepagesecretsister@gmail.com by midnight on January 27! ALSO In addition to the questionnaire, you will also be asked to answer a few questions for a Google form. PLEASE NOTE: If you do not fill out BOTH of these things in full, then you will NOT be paired. This is what we will be using to pair, so DO NOT FORGET. Please remember to thoroughly answer each and every question, and keep in mind that there is no such thing as saying “too much!” We will send back any unfinished questionnaires, so be as thorough and detailed as you can! If you need some help filling this out, head back over to a previous round’s FAQ and Rules post and check out the example we provided! International participants: Please use this Google form to sign up instead of one coinciding with the tiers. There will be a place for you to fill out your preference of which tier you would like to belong but we can not guarantee this. Due to international participation being low, we may have to put you all into the same tier, which will most likely be chosen by the majority vote, in order to ensure that you all get a match! Third and final reminder that you MUST also fill out a google spreadsheet which coincides with your monetary tier. Links can be found above, do not forget, or you WILL NOT be paired!! As always, please remember that you can always reach out to us with any inquiries or issues, that is what we are here for! Use the #OTSPSecretSister hashtag to talk with us and your fellow sisters! Thank you for helping us continue to spread positivity and cheer throughout our little community! Hi, friends! Today we have Rachel from Go Read A Book talking about some awesome throwback Disney! Take a look at what she has to offer and head over to Amy & Brittany’s blogs to see who they have featured today! Don’t forget, we are hosting wonderful bloggers & authors for two whole weeks with recipes, book recommendations and a lot more awesome! I don’t know about you guys, but I personally have fond memories of watching 90’s Disney Channel Original Movies and TV shows. Disney loved Halloween, and that meant a lot of memorable episodes and movies dedicated to the holiday. Not going to lie, some of these were even pretty lame as a child, and they would be even worse now, but they are still notable nonetheless. I’ve also attempted to find links so you can watch them on YouTube. Here are some of the creepiest, funniest, cutest, and just straight up weird DCOM’s and episodes. Is there any Halloween themed DCOM out there better than Halloweentown? I think not. I’ve decided not to include the sequels because nothing beats this one, in my opinion. This movie is mostly sweet and heartwarming, but some parts are ridiculously creepy. Let’s be real, I had nightmares over that one scene with evil Kalabar in that movie theater. Kalabar is a truly terrifying dude and I’m still not entirely over it. So this movie is so creepy that it received the first PG rating on Disney Channel. Don’t Look Under the Bed is scary because a boogeyman is created when a child stops believing in his or her’s imaginary friend. Yeah, this made me afraid that my old imaginary friends would become the boogeyman, lurk under my bed, and then kidnap me. 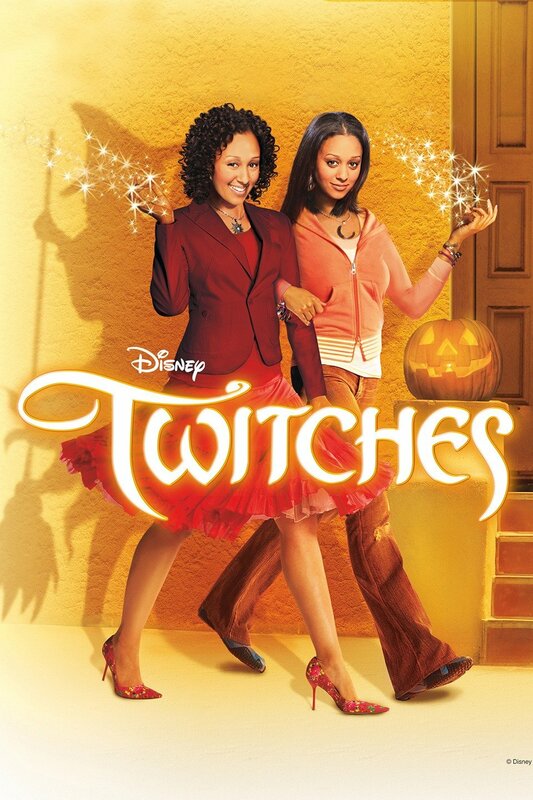 Honestly, I was never a big fan of Twitches and I doubt I even bothered with the sequels. Halloweenteen already delivered with witches, though I am a fan of both Tia and Tamera. I included this on my list because it’s pretty popular and definitely entertaining. This movie is pretty freaking cheesy, but what else would you expect from Disney? I won’t lie, I really enjoyed watching this when I was a little kid. Like the title says, it’s about a mother who goes out with a guy, and it becomes a major nightmare when the kids discover that he is actually a vampire. I distinctly remember that even though I was young, I was still well aware that the acting was pretty terrible. Whatever though, this is still a creepy and fun movie. So it’s been FOREVER since I’ve seen this movie. A lot of the movies on this list are ones that I’ve watched multiple times, but I’m pretty sure that I only saw this one once like a million years ago. From what I can remember, it’s on the lighthearted side. 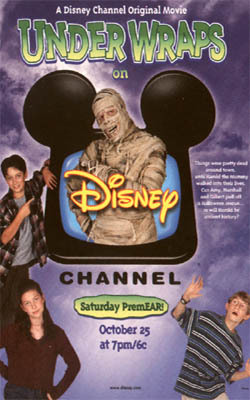 I mean, what Disney movie about mummies coming to life can be legit scary? The good news is that I was actually able to find this one on YouTube so you can watch this one for yourself! 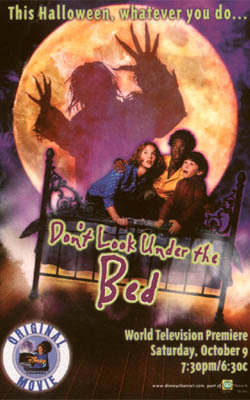 Yet another DCOM that I don’t totally remember very well at all. This one was extra silly and kind of ridiculous at times. Like it’s not all that creepy since the so called phantom committed mostly fairly weird pranks. There was a slight plot twist to it, well it was shocking when you were only a child anyway. Sidenote: how odd and random is it that Mickey Rooney makes an appearance? Despite the fact that everything turns out in the end, you can’t deny that this episode is extremely creepy. Even Stevens is easily one of my personal favorite Disney shows, and this is such an epic and memorable episode. It’s honestly caused me to think of eyeballs differently. It doesn’t get more classic than Lizzie McGuire. This show never gets old to me, I could watch it all day. This is a great episode that revolves around a Halloween dance, a prank, Day of the Dead, and skeletons. Trust me though, those skeletons on the table are likely to give you nightmares for a night or two. This is an episode that you must watch or re-watch this Halloween! Note: the quality of this video isn’t so great, but it was sadly the best one that I could find. What’s scarier than a haunted hotel room? The whole Suite Life gang decides to camp out in the haunted room, and gets a major surprise. This show will always hold a special place in my heart. That’s So Raven was one of my favorites growing up, and still remains a classic today. I recently watched this episode again, and found it just as shocking as I did the first time I watched it. Seriously, I forgot what exactly was going on so the whole Chelsea and Raven turning into cows was very terrifying to me. So there’s my list of favorite throwback Disney episodes/movies that focus on this awesome holiday. I know I left a lot of memorable ones out, but I didn’t want to include anything that I personally didn’t remember or watch at one point. I still would love to know what your favorites are!